Hi friends, so this post comes with great nerves and excitement. I’m such a dork in this way, I re-think and re-think and get all nervous about things. Things such as finally making this blog a for-profit blog. It has been something that I’ve talked about with Peter so many nights. As simple as it seems, it has been something that I have tossed and turned over. I don’t want this blog to be one of those blogs that becomes more of a business then it is a place I share and grow. But after having people reach out to me, and building confidence in myself that this blog is only what I make of it, I have decided to go for it. 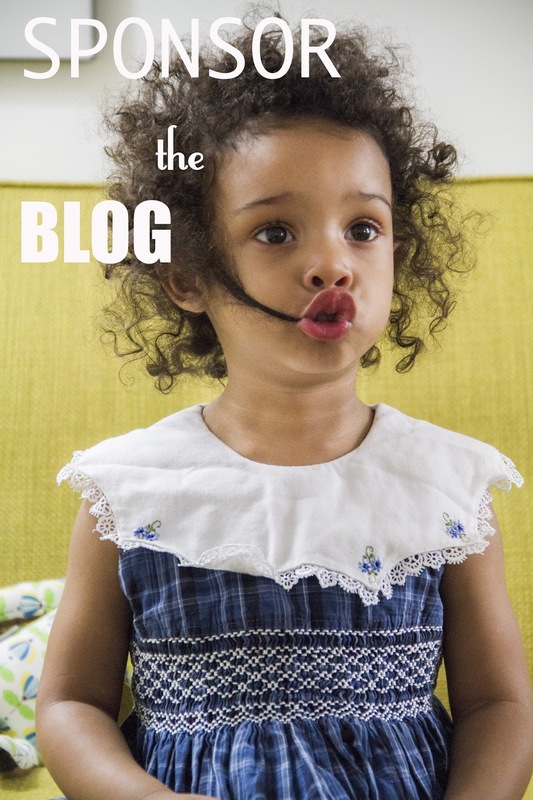 When I come to think of it, sponsoring blogs has helped this blog grow tremendously! I have built great lasting friendships with bloggers because of sponsoring. Through gaining sponsors I can stay home and continue my love as a freelancing stylist, but most importantly stay home and give all my best love to River Mae. I have enjoyed these 2 1/2 years so much, and my heart is overwhelmed with the fact that I can do what I love and continue to be mostly home. In 14 months this blog has grown amazingly (averaging 30,000 page view per month and with daily hits averaging 1,500 a day). I am always kind of like WOAH when I look over my stats. I am so honored and humbled that you guys choose to read and follow along-it means the world to me. I start to wonder about the community this blog will have a year from now when we will hit the two year mark. I want to jump for joy just thinking about it! Again, I am such a dork lately. I love reading your emails, but most of all I love the healing that’s come along with it, and if you’ve been touched in any way, it feels great to hear about it. Are you a blog or a business wanting to drive more traffic to your site? Do you like toddlers, NYC life, and an intense love for fashion? Then sponsoring this blog might be a great fit for you! In a little over a year through some of the toughest times of our lives, I have been blessed to work with some of the best companies (Bugaboo-Bee in the City! ), collaborate with some breathtaking projects (American Blogger! ), and I have been featured on some awesome sites and blogs (Ohdeardrea, and Refinery29, ) to name a few. I am not sure what the future holds for us, wether it be more babies, freelancing, pre-schools etc. I have finally accepted that I don’t have control of much, but I can choose to live in the now. And if ya want, you are free to join me on this roller coaster called life. It’s a great growing community and I think you will like it here! I am currently offering only two sizes: Large (200×200) and Medium (200×150). The large ad is $25 and only four will be shown at a time. The medium ad is $15 and only 8 will be shown at a time. I am choosing not to host many sponsors so your ad can gain as much possible visibility and traffic. Each ad runs for 30 days. –Giveaways are available and offered at an additional cost (feel free to email me for rates-latonyayvetteblogs@gmail.com) or included once a three month large ad package is purchased. —We will gladly accept clothing, accessories, home goods etc to be featured in a solo post. But sorry, they will only be featured and linked if they fit my personal style. There is now a “Sponsorship” link on the side bar. You can purchase through that link via Passion fruit! I am beyond humbled and honored to be able to help your blog or business the way many bloggers have helped me! I know first hand how great this community is, and how we can lift and push each other to be the best us we can be!